Pale Moon 26.0 has been released. The new version of the web browser is the first in which the switch to Goanna, the new rendering engine that is closely related to Gecko but not the same, is completed. Pale Moon 26.0 ships with the Goanna rendering engine. While most users may not notice any changes whatsoever after updating to version 26.0 of the web browser, some may notice issues. This is to be expected considering that switching rendering engines is quite the major undertaking in the browser world. The Pale Moon team asks users of the browser to report any issues that they may experience, for instance on sites that worked just fine in previous versions of the browser but not in Pale Moon 26.0, to report these issues so that they can be investigated and hopefully corrected. Another change, this one understandable but not as pleasant for some users of the browser, saw the reduction of supported languages to "a little over 30". The Pale Moon project started to do full translations in-house and due to a lack of translators for less-common languages, cannot offer translations for these languages right now. Lets take a closer look at some of the other changes and fixes in version 26 of Pale Moon. One interesting feature that the team added to the new version is called conservative image decoding. Basically, what it does is implement lazy image loading decoding images only when they are in view. This should improve memory use on pages with images below the fold, and the load performance of image-heavy web pages. Support for the WebP image format was added to Pale Moon. Other graphics-related improvements include properly scaled EXIF rotated JPEG images, support for different WebGL texture formats, improved scaling of vector images and more. A second control of autoplaying media has been added. This one takes care of scripted content, and is enabled by default (meaning scripted media is allowed to play automatically). You can disable this by loading about:config, searching for media.autoplay.allowscripted and setting the preference to false by double-clicking on its name. Improved the handling of "very large" numbers of tabs. Added CSS queries that theme designers can make use of to determine the operating system the browser is run on to make OS-specific changes to the theme. The browser user interface has been updated making it more in line with the operating system it is run on. Several security updates went into Pale Moon 26.0 as well. The team added an active XSS filter which checks for cross-site scripting attacks and blocks these attacks automatically. Pale Moon users can control the feature in the options under security. Support for 128-bit Camellia-GCM ciphers has been added, and several root certificates have been distrusted. Additional information about the feature is available on the Pale Moon forum. You can check out all changes in Pale Moon 26.0 on the release notes page. On February 3, 2016, Pale Moon 26.0.2 was released. It is a security, bug fix and web compatibility update. Removed the sanity check for unsupported point-of-sale XP-based operating systems by user request. Please see the forum for information on which operating systems we can reasonably support. Changed our cookie gate to allow cookie names with spaces in them, to improve web compatibility. Changed the memory allocator on Windows platforms to a much more modern full-library implementation of jemalloc, with miscellaneous additional fixes. This should fix issues like "huge animated gif choking" and inexplicable pauses when using many tabs, scrolling (extremely) long pages, or viewing media. Added a "superstop" key combination (Shift+Esc) that will stop all (foreground and background) network activity, stop animated gifs etc. Updated the default theme to tweak/improve it some more. Pale Moon 26.1.1 was released on February 24, 2016. It is a stability and extension compatibility update. Improves compatibility a number of Firefox extensions. Improved memory handling to address "the memory inflation issue" that some Pale Moon users experienced on version 26.0. Improved YouTube compatibility giving users the choice to use the Flash or HTML5 player on the site. Pale Moon 26.2 was released on April 5, 2016. It is a major update and bugfix release. Updated UA overrides and XSS configuration to deal with some problematic sites. Mousewheel supports horizontal scrolling now. about:sessionrestore uses the full screen to display information now. Several bug- and security fixes, including several crash fixes. Pale Moon 26.2.1 was released on April 8, 2016. It fixes an issue with keyboard navigating the user interface. Pale Moon 26.2.2 was released on May 10, 2016. It is a "mainly" a security update but fixes several crash issues as well. Detection for dark themes on Windows 10, and better Windows 10 theme integration. HTML5 Media volume preference added and controlled by the preference media.default_volume. Default is 1.0 which means 100% volume. HTML5 Media controls updated. They feature a horizontal volume control on all media now. Minimum limit for places entries is 10,000. Pale Moon 26.3.1. was released on June 25, 2016. It is a bug fix release mostly that fixes smaller issues including compatibility issues with Google Web Fonts. Pale Moon 26.3.2 was released on June 27, 2016. It fixes two issues, one on Windows 8 the other on Windows 10. Additionally, the portable version was switched to a non-compressed binary format to avoid issues with antivirus and security software. Pale Moon 26.3.3 was released on July 1, 2016. It fixes an issue on Windows 10 that could cause text to be white on white, and another issue where news feed would not show up when embedded on web pages. Also, removed a security policy directive that was causing issues on some sites. Pale Moon 26.4.0 was released on August 17, 2016. The new release removes Google Search as a bundled search provider. Pale Moon users may still add it to the browser if they want to use Google Search. The release features some component updates, crash fixes, and security fixes on top of that. A Linux-only release that uses GStreamer for video support to prevent crashes when playing some HTML5 videos. The new version fixes two security issues and fixes some bugs. It fixes a crash in the XSS filter among other things. Pale Moon 26.5.0 was released on September 28, 2016. 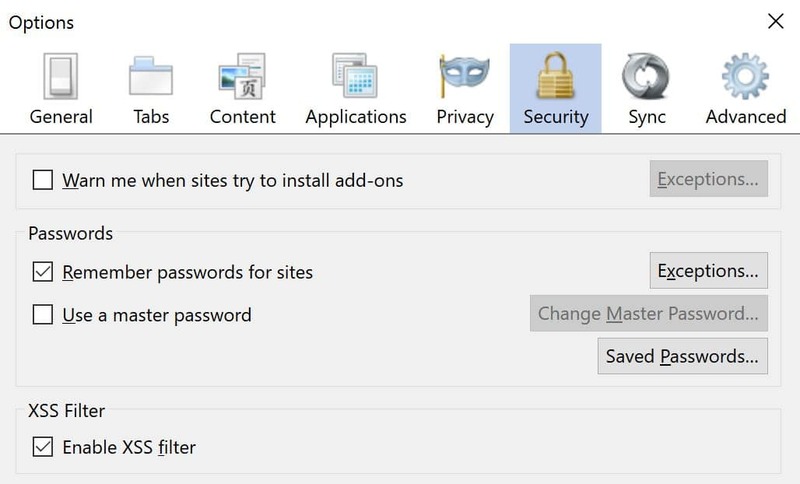 The release fixes several security issues in Pale Moon, hardens the browser's security in several ways, and several other fixes. Particularly, it adds a breaking Content Security Policy change. when a page with CSP is loaded over http, Pale Moon now interprets CSP directives to also include https versions of the hosts listed in CSP if a scheme (http/https) isn't explicitly listed. This breaks with CSP 1.0 which is more restrictive and doesn't allow this cross-protocol access, but is in line with CSP 2 where this is allowed. When viewing flickr and similar image-centric sites, ever since firefox introduced that unconditional “lazy load” behavior, I’ve gritted my teeth. Someone paying for “90Mbit/sec burst” Comcast cable modem service isn’t amused drumming fingers waiting for “next screenful” of thumbnails to load. I think it’s only about lazy decoding, not down-loading, of images. palemoon is project of interest considering that sweden is interesting country in geopolitical context. Of course you have to keep in mind that words like goanna and gecko are just meaningless labels, just like the country names. @juju: Man why so negative, why the put downs for this awesome browser. Well I guess haters gotta hate, but don’t worry we’ll prove you wrong, prove you all wrong! Believe it!! I haven’t read any positive, constructive comment from juju up to now, so Pale Moon is just another hit. Don’t worry about that. The sniper shoots on everything and if no intelligence service is mentioned in his comments then it’s a miracle. That’s him, he’s calmed down a bit and I guess most of us read him as we read a comic book. Nothing harmful, rather exotic. I think the name “pale moon” is to symbolize that crescent (moon) in islam symbolism. At the moment it’s in pale phase – nobody even suspect anything. Al-Qaeda/ISIS vs World 1:0. Of course I don’t believe such thing as al-qaeda exists so who gives what about what? Well, “juju” sounds black magicky so, by your own reasoning, must be cajun evil. You El Farida, eh? You probably gonna stick my little doll with pins hoping my eyes will bleed and you dancing sing dem jujuman songs and praying to your cocaine idols? HTTPS is not enabled yet on the frontend. But it will be soon. It is not bad from the customization abilities. But what is indeed rather weak is support of bleeding edge drafts which are used more and more by web designers instead of the so called recognized standards. 33% ES6 and 1% ES7 features and only 44% CSS3 is not very impressive, sorry to say. Also, a rather big weakness is that Pale Moon seems to require a strict not flexible script execution or pages are broken like Jamendo or Cnet when you try to change your user settings/details. If you go the Pale Moon route, make sure you have a good alternative browser as backup available, you will need it quite often and may it only be for 1080P HTML5 playback on Youtube. In the end, my opinion is that i prefer a browser which let’s me open almost every webpage and for which i do not have to install a secondary one to watch all new websites which make use of drafts or pages with a more flexible script implementation. Pale Moon no longer enables me to do that. i have similar problems with firefox though. compared with the issues i’m having with youtube in html5, the “dark old days” when youtube was flash-only somehow don’t seem quite so dark. Pale Moon is my favorite browser. Fast enough, very configurable, dependable, and relatively safe. I don’t really recognize any of the website compatibility problems that Daniel is complaining about. Looks like we live in a different world. Or have a very different set of bookmarks and requirements. I think ES6, ES7, and CSS3 are things Daniel has read about but never used. If there is a single bit of CSS3 code Palemoon won’t run I haven’t found it. We could discuss prefixes here but I suspect it would get confusing. ES6 and ES7 standards are getting served by shims to almost every browser and they are technically bleeding edge. ES6=ECMA Script 2015 and ES7=ECMA Script 2016. Very few ES6 items are left that are not supported by all browsers at this date(top 3 browsers anyway). Lost me in that whole discourse. I check my little web dev projects I build against Firefox, Palemoon, and Chrome. I develop in a Webkit rendering window. Not been a thing I’ve built that won’t run in all of them. I use ES6 in some of my dabbling. I.E. Polymer, Material Design, and Angular Material. They all provide the needed shims for the browsers to run the code. Don’t blame the browser for the web dev not making the site capable of running on any browser when the site is running bleeding edge code. BTW, Good job Moonchild! You gave us a new engine!! Still, the point is valid. There are not much ES6 features supported. Chrome has 60% support and with a special switch you can increase that even more, Firefox has almost all supported. So, there should be indeed something done over the course of Version 26 or things will get more bad. And to sites breaking: Google hangouts non functional, as written Cnet user account part broken partly, Jamendo broken partly, Facebook has issues…. – Pale Moon must allow more/must accept flexible scripting, or indeed more sites will break. Even IE 11 which has less draft support can render pages partly bette than Pale Moon and makes less issues. Something really should be done about it and it should not be the user who is releasing patches to fix problems with the browser. And it is also wrong to blame only page creators – these drafts are there, so it is only logical that webmasters make use of them. Google and Apple control today’s web, if you are unable to modify your product in a way it gets compliant with pages which are built around the sloppy way Webkit/Blink handles standards, you are running into grave problems. It is also true that that pages get more instead of less. Just so you remember, Opera was already there. I was a bit in doubt if the new engine will cause problems with my old 25.x settings, add-ons or any sites, but it didn’t. No bad surprises, no problems. I haven’t visited every possible newest webdesign site on the planet yet, but actually everything runs very fine here. Great browser, thanks Moonchild Productions devs! Perhaps they “think” it’s an old browser because it forked from Firefox v24. But of course Pale Moon has been kept updated since then. In terms of solving your problem, you can just install a user agent spoofer into Pale Moon to make it look like another browser. That should be enough to satisfy the credit card company’s automated block. @Mike O: Please contact your bank and ask for support, or spoof your user agent. How about using Firefox along with Pale Moon. Similar situation here. Ever since the upgrade I’ve been unable to reach some sites causing the browser to crash. Checked within the error message, and the APP CRASH info mentioned something related to a xui.dll. Tried reinstalling, safemode, disabling extensions and plugins; all without success. Researched at the PM forums for a possible fix, but couldn’t find one. I’ve used PM for quite a while now and have been extremely happy with it, truly sad to have to go back to FF. Anyways, I’ll keep a PM profile backup file just in case I need it. Still refusing to place FF as my primary browser at the moment. I’ll keep reading around for a fix too. Thanks for this article. You’d better post on the forum first, instead of waiting for an answer to appear – which It probably never will because it sounds like something else (unrelated to PM) is interfering. Palemoon 26 not opening comcast email, switch back to 25.8.1 worked fine as well as with Firefox 43. Tried to advise Palemoon, via facebook, they referred me to their forum, once one the form, noted that one has to register to advise them of problems. The registration requirement is help weed out spammers and searh indexers. My ISP uses a Zimbra email server and I haven’t had Palemoon related issues with it. I’d be much more suspicious of Comcast’s atrociously quirky and annoying infrastructure. They haven’t been able to fix my relatives account (login loop) since they arbitrarily changed her primary email to Comcraptic. Use an alternate browser for Comcast, and if they support forwarding, Get Another Email Provider! Raphael, as you’ll quickly discover…. running you in circles, and placing blame elsewhere is par for the course PaleMoon developer behavior. Funny.. Guess you won’t be using the forthcoming update that has fixed the comcast email issue..
Also, you forgot black magic.. 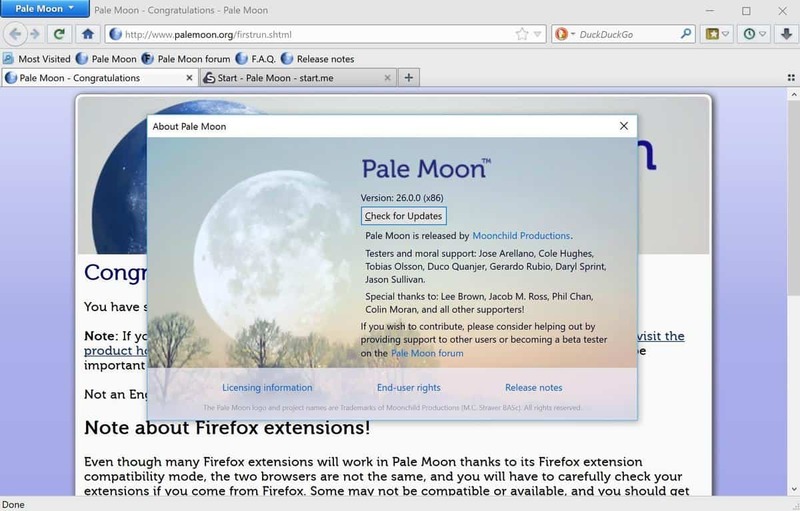 Pale Moon has option (check box) “Use Firefox Compatibility mode” in the Options – Advanced – General tab. Also, with Pale Moon 26 Comcast (xfinity) web based email (zimbra) is not working. There will be an update out shortly, so please be patient: https://forum.palemoon.org/viewtopic.php?f=3&t=10902#p76690. Once time, I decided to try Palemoon. But immidiately I founds its UI very ugly while comparing to Firefox. Maybe I’m fan of Australis. So I must say good bye to Palemoon. Btw, it’s good to see that Palemoon supported WebP. Hopefully Mozilla will support it soon. @Harushi: There are Complete themes available. So since you mention Australis, here: https://addons.palemoon.org/themes/complete/australium/. And please before your quick to judge, how about you try reading up on our history: https://www.palemoon.org/roadmap.shtml. Interesting, I have to admit to moving to Pale Moon for the reason that I cannot stand Australis, but each to their own. Pale Moon can be themed to look just like Australis Firefox if that’s you’re thing, Lootyhoof maintains such a theme. I find comments like “i found the user interface ugly” very amusing. Just change it,is it really that difficult to work it out.And if you go the chromium/chrome route then your stuck with the interface forever more. Its rather sad that a lot of people who try palemoon then give up on stupid little things seem to lack any form of brain power. Dont like the interface…?..well change it to your liking. @Alex and @Raphael: Please contact Comcast (xfinity) and tell them of the issue and then polity ask them to support Pale Moon as it’s not Firefox or any other browser, but it’s own. You guys (everyone), please stop the complaining if your not willing to go the extra mile to report any issues with v26.0.0 of Pale Moon nor contact the owners/IT guys of the website your currently having issues with. There are other feasible options, some mention above already. Yeah sorry it doesn’t work like that, a 50-50 compromise needs to be meant. Yeah, I’ll get right on that. Let’s see, if I start tonight… should finally be through the Comcast customer service queue just in time to watch the SuperBowl. Well, my polity is broke. So howabouta 50-50 compromise needs to be meant. Please, sir, go take your meds and lay down for a bit. If Pale Moon devs will not change the rendering engine in a way that it allows also more “broken/loose” scripting in webpages without seeing that pages as broken and if there is not at least a implementation of ES6 standards to at least 50-60 % (Google can be seen as standard in that way, as they only implement what is necessary – drafts they hide with a special flag which boosts the amount of ES6 features to around 80-90%) the equation of 50:50 will be moved more and more less in the favor of Pale Moon. Please guys, try to be web standards compliant these days. @Daniel and @gh: Your sarcastic attitudes wont accomplish anything you guys. Please stop. Things take time, you just can’t expect everything to just work immediately and be served to you on a silver platter. If you want that, then this is not the browser for you and I suggest you go use Chrome or Firefox’s version of Chrome. Please you gotta remember that these certain issues are expected with this major milestone, especially since some websites do unprofessional UA detection and recognize as mobile browser or something else as the likes of “unknown,” which can give out weird results with webpages. Take note that not everyone’s configuration of Pale Moon and their OS set-up is all the same, which is why some have those certain issues and others don’t. If you don’t believe what is said, please look here: https://github.com/MoonchildProductions/Pale-Moon/issues. I know also that it takes time, i know that you are away from Mozilla’s release train and do not have the benefit of having a totally new engine version evey single month, and i know that you guys now have to manually backport every single feature or rewrite it from scrach to make it work with your code base. But seriously, how much progress have you made with implementing underlying features since version 25? Not really much as it seems. While other browsers make tons of progress, Pale Moon is not moving really forward or only with a very slow pace. I have no sarcastic attitude, i still do care for Pale Moon, otherwise i would have dumpe it already. The thing is you are seriously in need for help. You need a second person with the same knowledge like Moonchild to get things going faster. There is one single rule which is worth to remember: If you are stuck, ask for professional help. I am rather sure that you can find in various forums (Code based, Linux based) interested people who would be willing to help in developing. The question which has to be asked is: Why have you not tried that direction already? Can you please name a few of these “tons of progress” in other browsers? Maybe I’m no power-user enough and that’s why I had only minimal problems with Pale Moon so far. Banks and mail accounts don’t block me out, I get no “outdated browser” messages since half a year, youtube videos play at 1080P. I read other people have these problems, – sometimes happening simply because they use NoScript and don’t notice it’s working. @birmingham As others have reported elsewhere for example Cnet is broken. What i have eperienced for example, Google Hangouts is non functual anymore, the Skype webservice is not functional anymore, also in Youtube you can only watch 720P HTML5 videos – 1080P like you, you only can do when using Flash, and Google will not keepit it forever. Gaming Websites – reported in the Pale Moon forum are partly broken, you can register an account but you can’t login, one Mail Website is also broken. Most of this has to do with never drafts/features of page owners in use or just scripting which is targeted for Webkit based browsers. And that are only a handful mentioned incompatibilities, there are way more minor and serious one’s around. thx for replying. Well, I don’t play browser games and so don’t expect any web browser to be a game engine, but ok. I’m watching youtube videos, yes, but I don’t need them all in HD Quality. And if I want 1080P, I have not much problems to enable Flash. I agree, not being able to log into accounts is very annoying, but if webmail and bank services only accept well-known browser names, like security vulnerable IE, and block other, even safer browsers, I don’t see why to blame Pale Moon for this (and I see nothing wrong in adressing this to the mail/bank service support, like someone above). Hm, I really thought progress and web standards could mean something more than webgames and youtubeHD. Thx anyway, “Be like Chrome,IE,Edge,etc. !” is just no option for me. I’m not sure I fully understand all the technical on the lazy load behaviour, but it sounds like a good idea. I do wonder though, as peoples download speed vary, wouldn’t it be an idea to have a sliding scale for the user to select a page content size limit (mb) before the lazy load kicks in?. People on super fast speeds could set it high (say 50mb) and not be slowed down in their scrolling, and those on limited bandwidth could select a low amount (say 5mb) or non at all. Just an idea. I use firefox as my main and over past few months palemoon-portable as a secondary, different browsers for different sites, palemoon has been pretty good so far. Been using PM for about an year. Now, can’t attach Internet Download Manager extension. Had to go back to Cyberfox. Until IDM fixes their extension, you can use the excellent FlashGot instead. Whom ever post Palemoon “Facebook” responses is lacking in Customer Service skills. A good customer service Rep., is NOT rude and does not give smart A$$ responses. Next time I have problems with PM, I’ll just let it go, will not give feedback, delete browser and try again in 30+ days. I have been using a computer since the Atari 48K, then upgraded to C-64 ,so I just did not just fall out of the boat just yesterday. Pale Moon is no company like Mozilla or any other company where you have a call center available. Just so you know. @Raphael: If your one those people that posted about the Comcast.net email problem, please understand Facebook is not for technical support, but only to provide interested Pale Moon users with updates and news. Same as Twitter. So yes Moonchild or another user will recommend you to report to our forum site: http://forum.palemoon.org/ or https://forum.palemoon.org/ucp.php?mode=register. @Daniel: Sorry for the misjudgement, I wasn’t intentionally referring to you in my last comment up above. I do see your point though. Please know we’ll all working hard to get these current issues fixed and even harder to reach our long term goals which are mention in my last comment. @S2015: Thats quite all right, use whatever is best for you, ok. Though I hope your not talking about our new start page that fully customizable, https://palemoon.start.me/start? You can change this if you wish through your settings, either in about:config or the options pop-up window. I also think you might be confusing this with our default search engine, https://duckduckgo.com/. This engine doesn’t track you and is also fully customizable, which can change as well using the same method up above. If you don’t believe me, run both of those URL’s with https://www.virustotal.com online scanning mechanism. You’ll get the same results as me: https://www.virustotal.com/en/url/67e7f515b7bbd756e6ccc121491e308801e9485face31e45590fb9f66ec1043f/analysis/1454022472/ and https://www.virustotal.com/en/url/35ce12126ae59d6b622f1ecb5e5d9b932411f2e6c586b792426c910319aa432d/analysis/1454022603/. So wherever your hearing these mischievous rumors from, they are clearly misinformed. Now please do some digging before you use this as your main point for not using Pale Moon. I would still prefer to use the original Firefox software, as I read complaints about this Pale Moon – which was set to enable the risky Mystart Search as its 1st search engine provider. renaming gecko to gonna does not make it a new engine. a new engine would be what blink is to gecko a competitor between the two. Normally it is the browser which should be up to date. And not the website reducing it’s feature demands downwards so even the so called lowest common denominator is able to show the page. That is the optimum HOW things normally should work out. But in reality, if you have a very small team member size with only one real specialist, you are sadly moving sometimes in the reverse direction. Frozen engine version 24 was a really ambitious project, a nice idea, but the situation gets more and more complicated, you need more time and effort of reverse engineering wanted functions or features, progress is not going as fast as wished. Perhaps some other possibilities should be found instead of just keep on using the chosen code base which Pale Moon is using. How about trying to really back out Australis related patches and start using a new official Mozilla engine again? Or trying to recreate Pale Moon with the help of QT software? What you say does not make much sense, because it seems you are suggesting that the currently available browsers (how many are there I don’t know, 20, 30, 100?) should keep adjusting themselves to the various needs of hmm… a gazillion websites? It’s up to the websites to respect proper standards (instead of forcing their own on select products) and not for each browser to chase websites. Unless of course, websites and browsers start becoming suspiciously close like say, Chrome/Google? Nothing is “frozen” in Pale Moon (quite the contrary), but it seems you consider the default (“optimum”) whatever the big boys (Google etc.) are doing. No matter how big they are, they *do not* and *should not* define the Internet. *Reducing* demands and *lowest common denominator* are really your own, arbitrary evaluations. Of course it makes sense. Or do you think that users on browser X are not using for example website 1 which only works properly with browser Y? It is a simple equation: If a browser developer does not keep up with new standards and users have to make too much compromise, they are leaving. So it should be in the interest of every browser developer to be compatible with latest standards. With frozen i mean that the base is still engine 24. There was the decision to make either a hybrid version of a recent code base with forward porting the old UI which was scrapped as it seemed to be impossible to iron out all bugs (Cyberfox developer tried too and decided in the end otherwise) and instead it was decided to build forward on engine 24 and not switching month for month to a new Gecko engine version as the later ones lacked in customization and stability. The concept itself was not bad, but the amount of additional work is enormous. You have to write features from scratch to make them work with Pale Moon. And the result of this decision is that things are going rather slow and for sure not everything can be adjusted that it fits into the Pale Moon code base. If you only have to take care about your own UI like it happens for projects like Qutebrowser or Qupzilla, progress gets rather quickly because the actual engine work is done by someone else. Pale Moon too had that benefit some years earlier as they just replaced one Gecko engine with the next one. In the end, you have to think about other ideas if your ambitious goals are not working out in a proper way. This is the actual problem the Pale Moon project is facing. But so far it does not look like they have an actual solution for this problem. And in the meantime progress of the web is not standing still. Even a simple user should be aware of the danger of this situation. I’m not sure what you mean by “website 1”? There may be a few issues but nothing serious that can’t be dealt with. Perhaps another few other minor issues on websites 2 and 3, too? All the other 999.999.999.999.999 websites work just fine so I don’t see what the major problem you are describing is here. What are those “latest standards”? Please describe them. Those “modern features” that Pale Moon is missing? Remember, several of Firefox’s new features are rejected by PM, and not because of inability/lack of time/manpower to implement them. Some of them, for serious privacy reasons actually. If you accept or designate Google/Microsoft/Facebook etc. as the “Web standards-definers” then you are compromising quite a lot and no good will come of it in the end, for all users. You are also giving too much importance on a number, 24 in this case. That doesn’t really mean much and PM hasn’t stopped at “Firefox 24 code base” as you imply. You are comparing different things. The PM code keeps changing and improving. Firefox will be at version 59 in a few months and perhaps 85 next year – that doesn’t necessarily make it more modern or technologically advanced. Quite the contrary, judging from the results. There are enough posts here of people who gave examples for broken websites. I really see no reason to repeat the same again. I am not talking about browser features like Pocket or Hello, i am talking about standards used by websites, mostly ECMAScript. Make a comparison for your own with Pale Moon and check out http://kangax.github.io/compat-table/es6/ and the ES7 table. There is indeed some kind of dispute what is now exactly standard and what is called draft. Mozilla tries to implement all at once, as they have an inferior complex against Google and try hard to get their whole market share with cloning the Chrome UI and Chrome’s minimalism. You can say what you want about Google, but in that case i would consider standard what Google has added without switching on additional flags in Chrome. This is around 60% or 68% of ES6 specifications and around 8-15% of ES 7 drafts. And to repeat what also has been mentioned…. It is not only that. The main difference between Chrome and Firefox or Chrome and Pale Moon is that Chrome has a much more relaxed way of rendering things. Firefox/Pale Moon require scripts to be more standard and strict. Google and Apple control these days the web, that means more and more pages are switching over to this relaxed not that strict handling which results in pages getting broken for Pale Moon or Firefox. A big reason why Mozilla lately decided to add special Webkit compatibility to Firefox. Also a thing which is not available in Pale Moon. Don’t get me wrong, i hate Mozilla. I am personally using Vivaldi. but i have no hate for Pale Moon, i even considered it at some point as possible future browser, but how things have turned out i saw a more secured future for page compatibility with Vivaldi. Probably best to wait until 26.2 or 3 before updating. 26.0.2 out now – many improvements. Yup! There will also be another update (v26.0.3) coming soon. i also moved from palemoon to cyberfox. almost no problems at all. work 100% fine in PM. found the solution very quickly. (I just keep FF as a secondary browser). PaleCrap is a failure, even the developer has admitted about not being able to keep up trying to do everything. Seriously!? That is such a low blow, just knock it off, alright.